Future events will be displayed here as they become available. Over the weekend of 22 – 24 February 2019, the Diocesan Deacons in Training attended their annual retreat along with their wives. This year's Retreat was entitled, ‘A Treasure in Clay. Walking with God’ and was led by Fr. Paul Jenkins OCARM. For some it was said to be their favourite retreat to date. It was felt to be a very rewarding time together, an amazing weekend of learning, fellowship, memories and inspiration, It was provoking, but also confirming of faith and it challenged us to go beyond where we are and dream where we could be. A Celebration Mass was held on Tuesday 18 September at Our Lady of the Rosary Church Peterlee. The Mass was to celebrate the entrance of three Candidates into the training programme for the Permanent Diaconate. 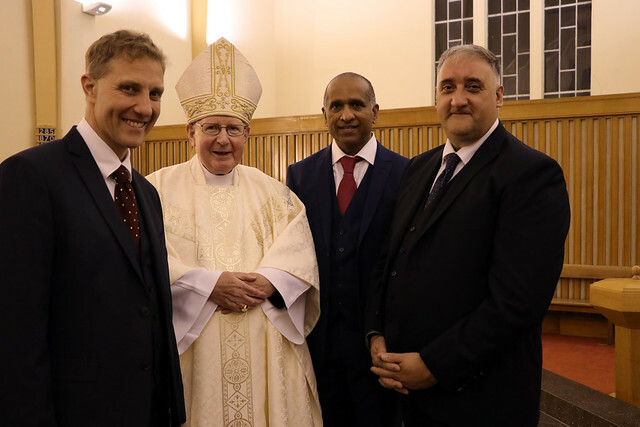 The main celebrant was Bishop Séamus and co-celebrants were the Parish Priests of the Candidates and also other clergy who had come along to support them, along with Parishioners from their various Parishes. Neil Haggerstone, Sibby Thomas and Jeremy Cain were supported by their families and also fellow Deacons and those still in training. 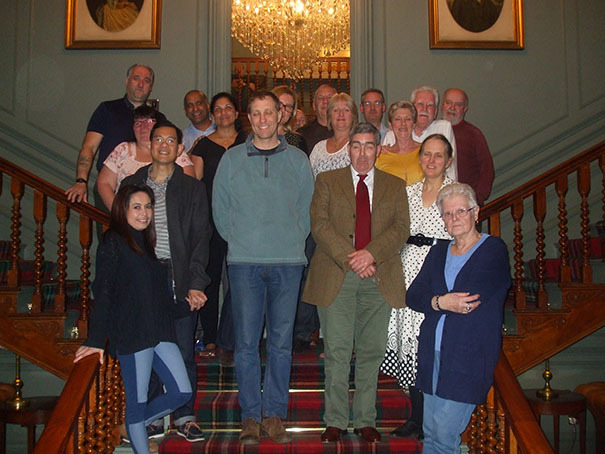 Four Trainee Deacons of the Permanent Diaconate Community together with their wives and members of the Formation team met over the weekend of 31 August – 2 September to begin a new year. New additions to the group for the four year training journey are Paul Young and his wife Tracy, Rhodie and Edna Nidea, Bernie Walsh and Gareth Rowe. Time shared included business, training and social time to get to know each other and form a support group for the journey. Input was given by Deacon Paul Hargreaves and his wife Debra, and also Deacon Martin Bell, recently appointed Diocesan Director of Deacons, and his wife Lindsay. Paul and Debra shared their journeys since Paul entered training for the Diaconate, and the effect it has had on their lives. Martin talked about the role and work of the Diocesan Deacons’ Council, of which at the moment he is Vice-Chair, and also the National Diaconate Executive to which he was elected last year. Everyone agreed that this once again had been a very good beginning for their year. "This was a wonderful experience, a great opportunity to meet the others and bond together and make new friends"
"A great experience, thank you"
"Great to feel our Community growing"
"Amazing and a great blessing"
"The Spirit was flowing this weekend, and God’s guiding light has brought us here." 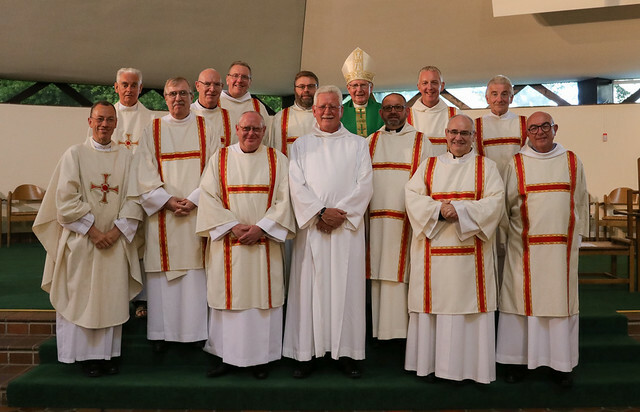 On Thursday 12 July at St. John Boste Church, Washington, Bishop Séamus celebrated Mass to mark the movement of Tony Joy from Lector to his final year of Acolyte in his training for the Permanent Diaconate. Tony will be ordained next year. He was accompanied by family, friends, Parish priests, members of the Diaconate Community, parishioners and the Formation Team. Pat Kennedy MPS Coordinator of Studies. 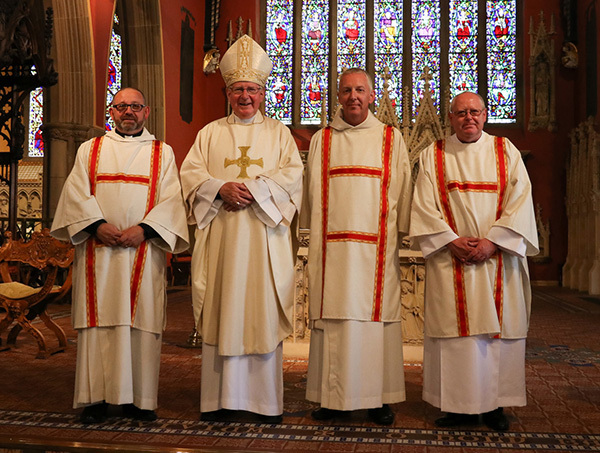 On 30 June 2018 Patrick Jackson, Paul Nichol and Peter Smith were ordained to the Permanent Diaconate at the Cathedral Church of St. Mary, Newcastle upon Tyne. Photographs from the day can be found on our Ordination 2018 page.